BA Radio NEVER receives Compensation for ANYTHING! If you missed the LIVE show, you don't want to miss the RE-BROADCAST of this Show! Joining DOC & JADE was Legengary Rocker IAN GILLAN of Deep Purple for a live, on-air interview! If you know rock...you know Deep Purple and IAN GILLAN! BA RADIO IS THE #1 PIRATE RADIO SHOW ON THE NET! We Feature The Latest & Greatest Indie Bands In The Business! 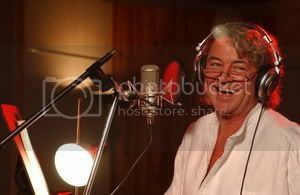 IanGillan.com: The Official Website for Ian Gillan.